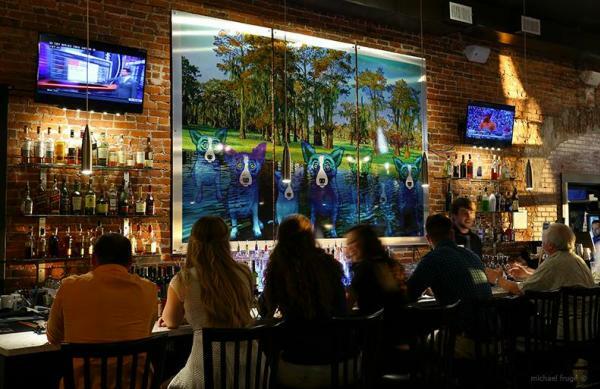 What’s cooking at the Blue Dog Café in downtown Lake Charles? Plenty. There’s a new chef, a new menu and a new vibe at the Ryan St. eatery. Chef Ryan Trahan is a Eunice native who brings his vast experience and love of local food to the Blue Dog kitchen. 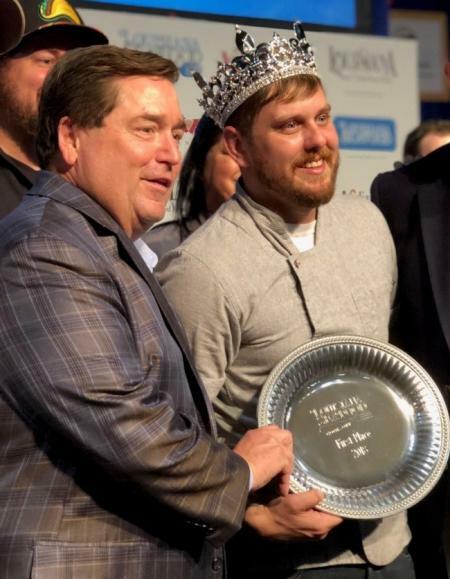 Recently crowned 2018 King of Louisiana Seafood, he’s excited about teaming up with the Rodrigue family. 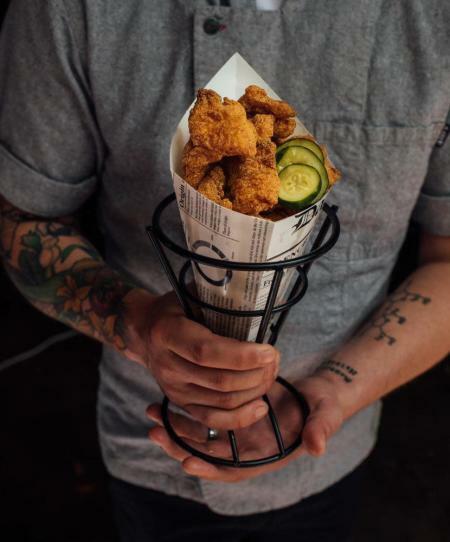 The new menu boasts starters such as pork fat fried catfish, deviled eggs, pork belly cracklins, and marinated crab claws. Entrees such as crawfish enchiladas, blackened redfish, and the fried Gulf seafood platter are downright mouthwatering. Head to the bar and enjoy special cocktails crafted by Trahan and the bartenders. “Just like our new dining menu, our cocktails include as many fresh and local ingredients as possible,” Rodrigue says. The Blue Dog recently held a sold-out wine tasting, and there are more events to come. “We are working on more wine tastings, as well as wine-paired multi-coursed meals,” Rodrigue explains. “But, we are most excited about our Zydeco Lunch Series. 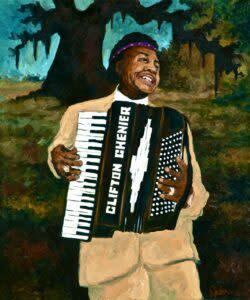 Every Saturday from 11 a.m. – 2 p.m., we will showcase a different local Zydeco band.” See upcoming events. George Rodrigue was a cultural ambassador, and the family is excited that they can continue his legacy by celebrating all of the things he loved about Louisiana. “We hope that our guests leave us understanding more about who George was as an artist and why our Cajun culture deserves to be celebrated,” says Jacques Rodrigue. Wed.-Thurs. 11 a.m.- 9 p.m.
Fri.-Sat. 11 a.m. -10 a.m.
Sunday Brunch 10:30 a.m. – 2 p.m.